I am back with DDCC Design Team and yesterday started new Challenge #230 - Back to School sponsored by Crafty Sentiments from whom a lucky winner will receive 3 digis. 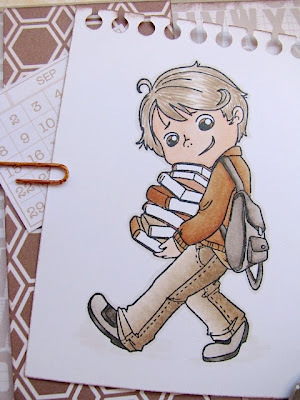 So grab your school stuff and make some cards for the Back to School Challenge! Can't wait to see your wonderful creations! Я повернулася до скрапу й знову буду дизайнити з кількома командами. Однією з команд є команда блогу DDCC, до розпочалося нове завдання - Знову в школу. Спонсорує це завдання магазин Crafty Sentiments, від якого щасливий переможець отримає в нагороду 3 цифрові штампи. Тож витягайте все, що маєте на шкільну тематику й приєднуйтеся! З нетерпінням чекаємо ваших робіт! For my card I used Back to School image from Crafty Sentiments. It is coloured with copic markers. Paper is from Studio Calico, as well as corner button. I die-cut my image with Spellbinders Office Supplies Die set. 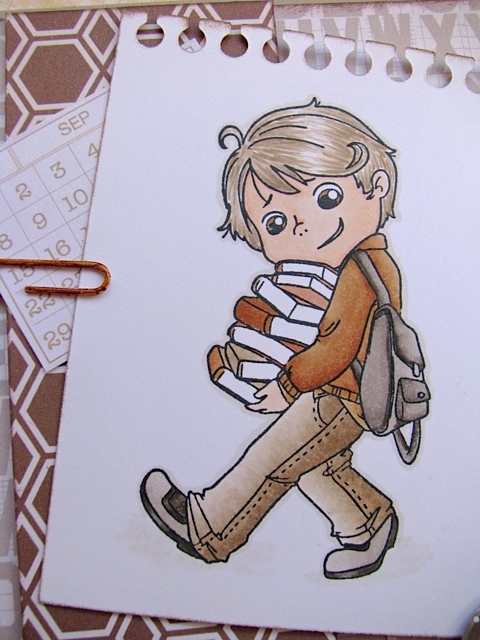 Little paperclip I coloured with copic marker. Banner's bottom I punched with a square punch. Base of the card is Stamping Up's Card Stock 8-1/2" x 11" Crumb Cake. Для своєї листівки я використала зображення Back to School від Crafty Sentiments. Розмалювала я цього хлопчиська маркерами копік. Зображення вирізала з допомогою ножів Спелбайндерс (набір Office Suplies). 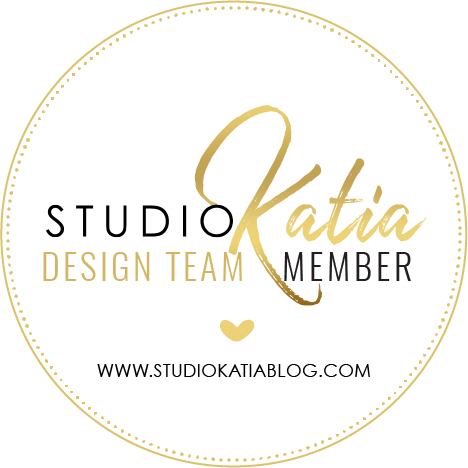 Папір я взяла від Studio Calico, так само як і їудзик в кутику. Скрепка була білою, але я її пофарбувала маркером, аби зробити коричневою. Дякую, що ви знову зі мною! Дуже дякую! Рада, що подобається! This is so cute. Lovely image and colours. Thank you so much for sharing your lovely creation with us at Creative Card Crew. 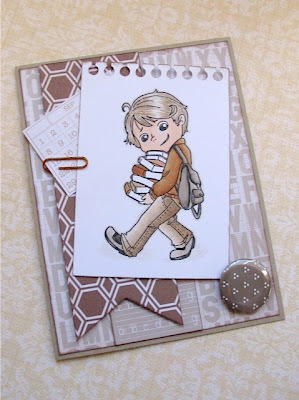 What a fab card you have made using "Back To School" and thanks so much for sharing it with us at Crafty Sentiments Designs !! This is adorable. I love the image and the die-cutting. Thank you for joining us at Party Time Tuesdays. Hope to see you next week. What an adorable card! Love the monochromatic color scheme! Thank you so much for playing along with us at Crafty Sentiments Designs this week! We hope you will play along with us again soon! LOVE IT! and the monochromatic color is fantastic. Thanks for joining us at Crafty Sentiments this week! What a sweet fella. Great coloring on this image too. Thanks for playing along with us in the Monochromatic challenge this week over at the Simon Says Stamp Wednesday Challenge Blog! Здорово! Штампик классненький! Спасибо за участие в задании блога Paint Your World ! This is great - such a cute image and I love the way you've put it together.